Imagine having the ability to draw any subject with precision, detail and expression. With Claudia's help, you can do it! 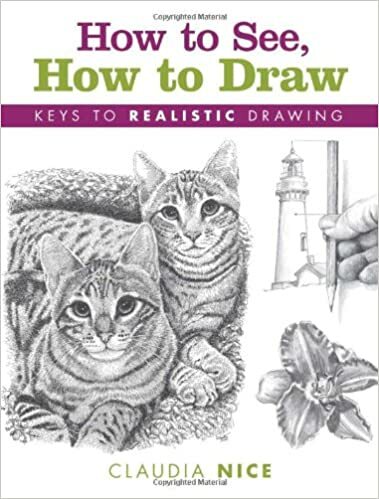 In How to See, How to Draw, you will discover how to tap into your powers of observation, strengthen your hand-eye connection, and draw the world around you with new skill and accuracy. Just take it one step at a time. Claudia is an expert teacher, breaking down complex compositions into a series of achievable shapes and values that even beginners will understand. Through dozens of mini demonstrations, fun-to-do exercises and complete step-by-step instruction, you'll learn everything from basic drawing techniques to more challenging methods for rendering wonderfully rich, in-depth compositions. Claudia's drawings illuminate a range of subjects, including portraits, landscapes, animals and still life. You can practice using her reference photos and drawings, or you can apply her exercises to your own subjects. Start today, Claudia's way! Following her masterful guidance, you'll see the world through new eyes and draw better than you ever have before.